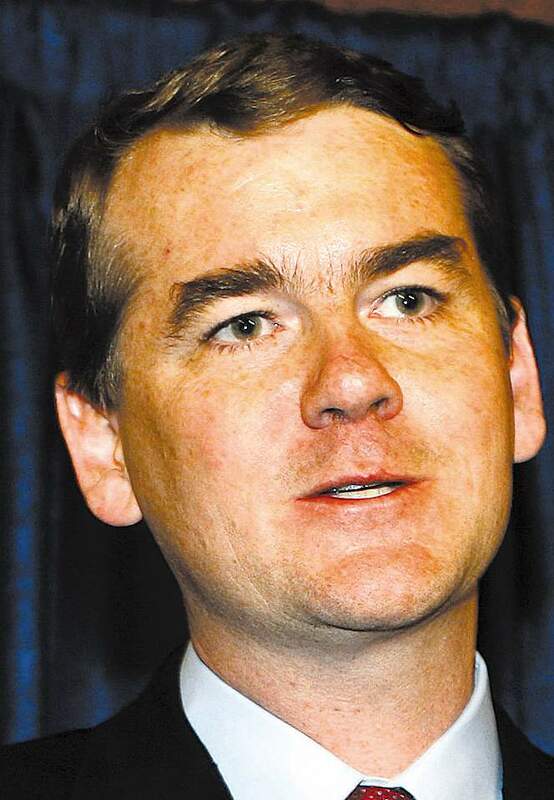 WASHINGTON – Colorado environmentalists protested Sen. Michael Bennet’s votes on two nonbinding budget amendments about the Keystone XL Pipeline on Tuesday in Denver, calling the Colorado Democrat’s actions a crime against the climate. The pipeline would transport heavy crude oil from Canada to Gulf Coast refineries. The State Department currently is studying possible environmental effects, but it ultimately is President Barack Obama’s decision. Environmentalists have claimed the pipeline would hasten global warming and could cause oil spills. The Senate briefly voted on the pipeline last week during a 13-hour “vote-a-rama” in the Capitol to pass a nonbinding budget blueprint. One amendment hoped to establish a fund to protect U.S. interests while making a decision on the pipeline. It failed by a 33-66 vote. The other amendment, however, passed 62-37. It called for a reserve fund to promote investment and job growth in U.S. manufacturing, natural-gas and oil production, and refining sectors during construction of the pipeline. Although neither amendment specifically calls for complete approval of the pipeline, The Hill reported that sponsors and backers say it was seen as a referendum on whether Obama should approve it. Bennet voted in favor of both amendments. Bennet believes the pipeline should be evaluated through the proper process, spokesman Adam Bozzi said Thursday in a telephone interview. If it is judged to be a worthwhile project, Bozzi said, the senator would support it as part of a comprehensive plan that would include reduced carbon emissions and move toward renewable energy. But in that path toward renewable energy, fossil fuels still will need to be reduced through the transition, Bozzi said. About 100 people protested in front of Bennet’s Denver office on Tuesday afternoon, said Micah Parkin, Colorado and regional organizer for 350.org. 350.org is a global climate movement that also has a grass-roots component, Parkin said Thursday in a telephone interview. The group is opposed to the Keystone XL Pipeline, calling it “basically a fuse to a carbon bomb,” Parkin said. Parkin said Bennet’s votes mean he failed a “litmus test” to support the environment. The protesters chanted for about an hour and wrapped Bennet’s office in “global warming crime-scene tape,” Parkin said. Several staff members came outside, but the group was not satisfied with their answers. As the staff members left, the protesters formed a “human oil spill” by lying down on the ground, Parkin said. Colorado’s other senator, Mark Udall, voted against both pipeline amendments. “He believed both amendments injected politics into a process that is progressing as it should,” Udall spokesman Mike Saccone said Thursday in a telephone interview.